In Edit Entity Settings, an administrator can specify an order number counter and optional prefix for Blanket and Standing Orders. If specified, the prefix value will default in front of all Blanket and Standing Order numbers. The Starting Order Number indicates the first default order number to be used. Users maintain the ability to override the order number default when creating a Blanket or Standing Order. The new user interface must be enabled to use Blanket and Standing Order. Please contact Customer Support if you would like additional information. 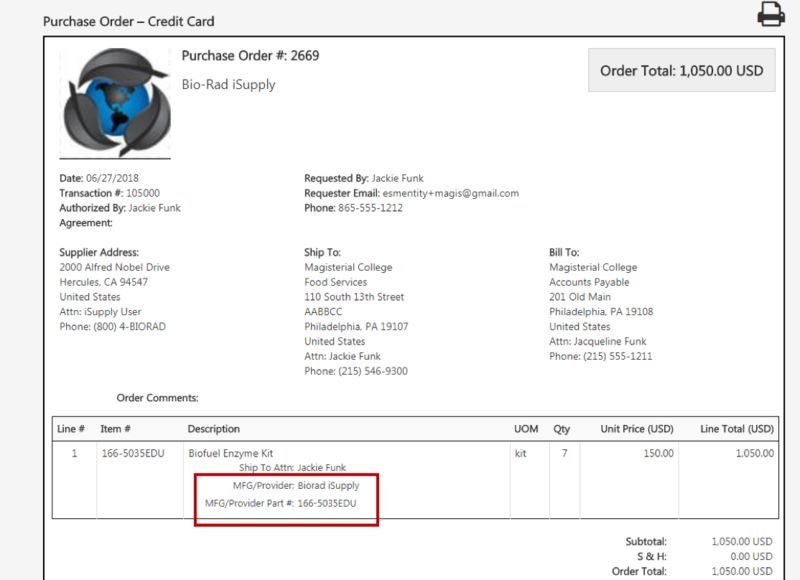 Purchase Order emails to suppliers will now print an item’s Manufacturer and Manufacturer Part Number, if specified by either the supplier or a purchasing user. These changes also apply to the PO View and email notifications for manual release transactions. 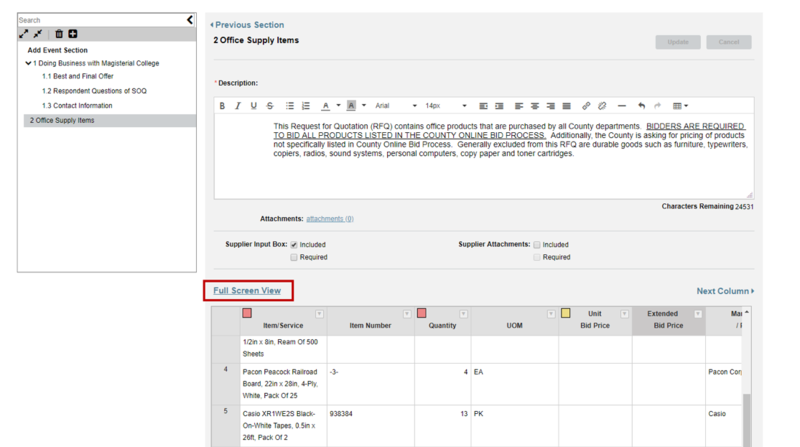 A Full Screen View link has been added to the line item bid section view for both entity and supplier users. When the link is selected, the line item bid will open in a full screen for easier view of the details. The Expand/Collapse link can be used to toggle the header information, such as the description and attachments for the section. Edits to data in the full screen view can be saved using the Update button. A Reporting option has been added to the Sourcing menu. Selecting the option will open the same Reporting functionality currently used in the ESM Purchase application. 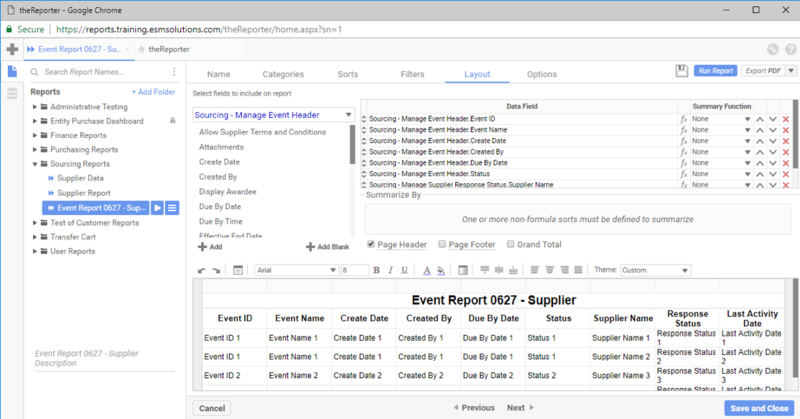 Users can create reports on line item bid detail and supplier responses, as well as award information. Folders and user groups can be added in Entity Admin to facilitate creating and assigning reports.